If you are looking for a quick-use device for your backup and which is very easy to deal with and convenient to carry, the Vision always is your best choice then. 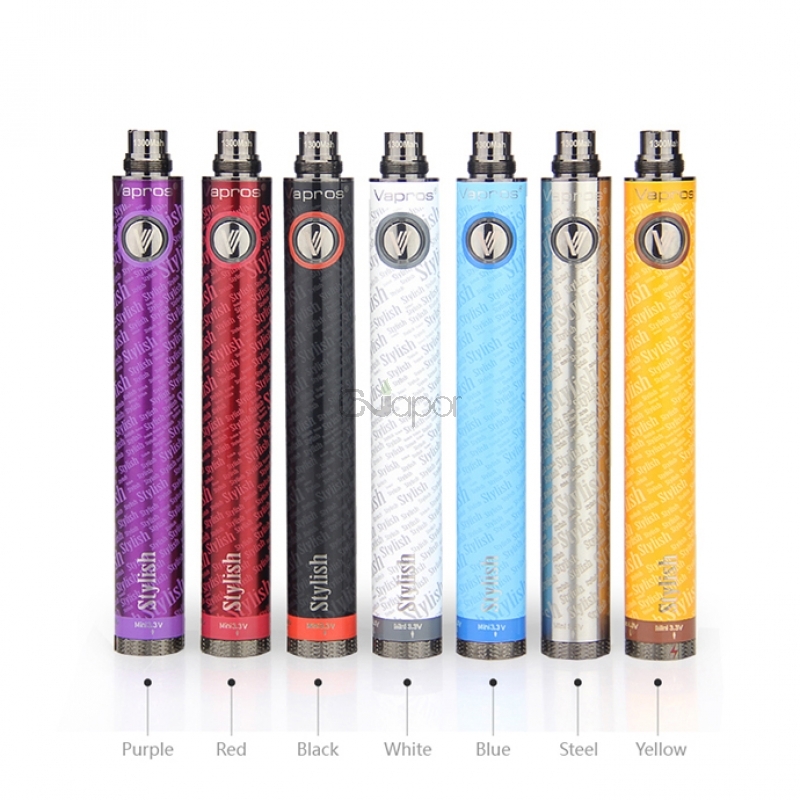 Or if you were botherd by the big size of the advanced vaporizes like the Sigelei 20W, you may interested in the new Vision Stylish battery with 1300mah capacity. 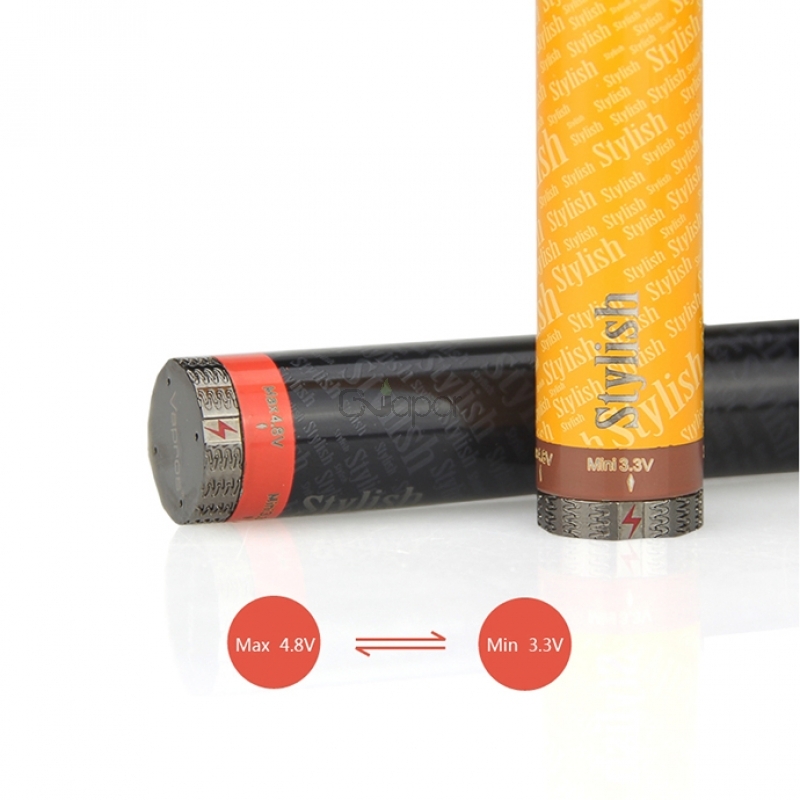 The Vision Stylish Battery kept the clearly voltage setting and the smooth adjustable dail design as in other vision variable voltage batteries. This Stylish battery also has vents at the bottom and shor circuit protection design. With good quality and great performance, this Vision Stylish Battery will absolute be a hit. 2. Clearly marked voltage setting and smooth adjustable voltage dail. 3. Short Circuit protection: the battery will shut down automatically when the atomizer is short circuited. 4. Works with 510 and EGO thread atomizers. 5. Safety vents at the bottom. 6. Power display indication: white(80%-100% battery power), blue(50%-80% battery power ), red(0%-30% battery power, time to charge). 7. Great quality with 4000 times button life span and 360 times recycle life.